To enable and encourage children, including those with disabilities, to walk and bike to school. To make biking and walking to school a safer and more appealing transportation choice, thereby encouraging a healthy and active lifestyle from an early age. To plan and build projects and activities that will improve safety and reduce traffic, fuel consumption, and air pollution. Physical Aspects: improve sidewalks, crosswalks, curb extensions and install traffic signs along designated safe routes. Education: Promote safety, enforce traffic rules, and encourage students to participate in the program. Cross the street at marked crosswalks whenever possible. Stop and look every time before crossing streets, even when you have the right-of-way, and especially at intersections with "right turn on red." Begin crossing the street on "Walk" signals-never on a solid or flashing "Don't Walk." Use pedestrian pushbuttons to activate/extend the walk signal. Use sidewalks. If none, walk facing traffic so you see vehicles, and drivers see you. Make eye contact with drivers so they see you. Never assume they do. Stay visible after dark and in bad weather with reflectors or retroreflective clothing. Stop for pedestrians at crosswalks and intersections- it's the law. Don't block crosswalks when stopping at intersections. Take extra care around schools, playgrounds, and neighborhoods. Pedestrians are hit every 7 minutes each day. Always look out for pedestrians, especially before turning at a green light or making a "right turn on red." Obey speed limits, signs, signals and markings--and never run red lights. Share the road. It's your responsibility to look out for others. When thinking of parking lots, you may not normally think of the potential hazards associated with it. Both pedestrians and drivers should view parking lots as if they were streets and intersections. After all, they do have set speed limits and have the same traffic markings to indicate traffic patterns. Here are safety tips for both pedestrian and drivers to help you stay safe in parking lots. It is important to remind everyone to take caution when traveling around schools especially during arrival and dismissal time. Identify safe routes to school, and have an alternative route in mind to avoid congestion. Consider walking or biking with your child to school to reduce traffic congestion. Obey all traffic laws and speed limits, especially the limit in school zones. Do not change lanes in school zones. Do not make u-turns in school zones. Do not text or otherwise use a cellphone while driving unless it is completely hands-free. Do not use curbside lanes in front of schools that are designated for emergency vehicles only. Stay in your designated traffic lane, avoid abrupt movements, and don’t cut across lane space. When dropping off your child at school move safely and promptly through drop-off zones. Be patient, be attentive, and follow all school staff directions. If a curbside location is not available, cars should park legally and drivers should walk to the school. Drivers in pick up lanes should not exit their vehicles while waiting in the queue. Do not engage faculty, staff, or passersby in conversation while in an active pickup/drop off lane. Remember the thrill of riding a bike for the first time or walking to school that first day? Walking and bicycling events celebrate these experiences and help make them possible for others. They bring schools and communities together for a common purpose. Most of all, they are fun! 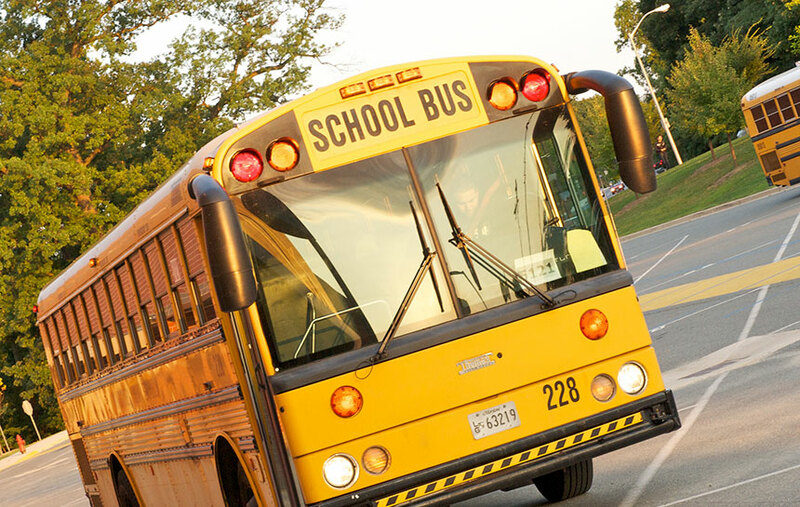 For more information visit the Montgomery County Safe Routes to School website. 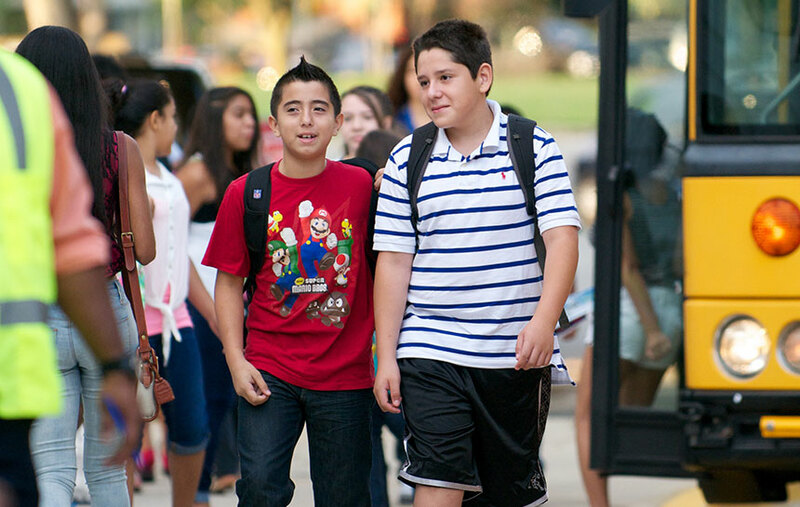 Walking to school is a great way to promote health, identify safer routes for walking, and to improve air quality. Join hundreds of students, parents and communities around Montgomery County in celebrating the simple act of walking and bicycling to school on Walk to School Day on October 4, 2017! And if you live too far from your child’s school to walk, consider driving part of the distance, then parking and walking the rest of the way! Walk for fitness and walk for fun! Celebrate Walk to School Day! For more information, please contact Nadji Kirby, 240-777-7169 or email. You can also visit www.walkbiketoschool.org for additional information, ideas for this year, and to see who walked last year. 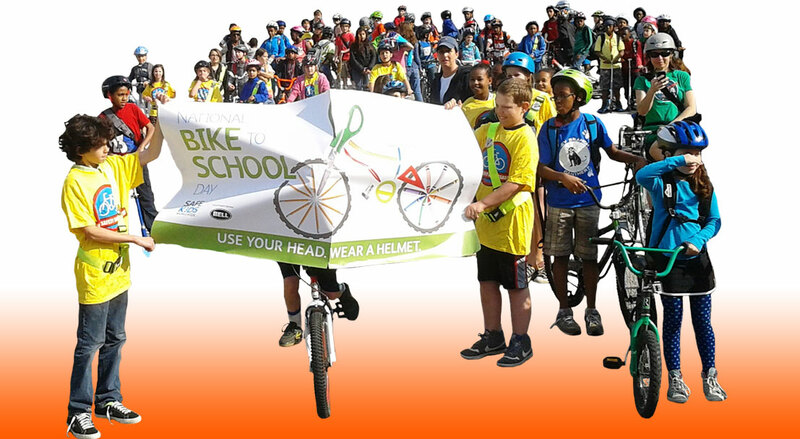 On May 10, 2017 thousands of students, parents, teachers, and communities across the nation will participate in National Bike to School Day (BTSD). Like International Walk to School Day (iWalk), BTSD is an event that highlights the importance of bicycling as a fun, healthy, and safe way to get to school and around town. Participating in National Bike to School Day and hosting an event is a great way to teach safe bicycling skills and encourage biking. Use the momentum of your BTSD event to encourage bicycling and walking to school on a regular basis. For more information, resources, and to register your school please visit www.WalkBiketoSchool.org. Whether in the classroom or on the street, student safety is a priority for everyone involved in the education of Montgomery County's youth. That's why the Montgomery County Department of Transportation created the YOLO campaign and is partnering with Montgomery County Public Schools to raise awareness of the risks of distracted walking and other dangerous pedestrian behaviors. The YOLO toolkit sent to each high school and the resources on this website were created to help school communities encourage safe pedestrian practices. The YOLO Campaign Guidebook is filled with great ideas and information, whether your school already has a pedestrian safety program or is looking for ways to get started. There is no state or federal law setting a legal age minimum before children can walk to school alone. 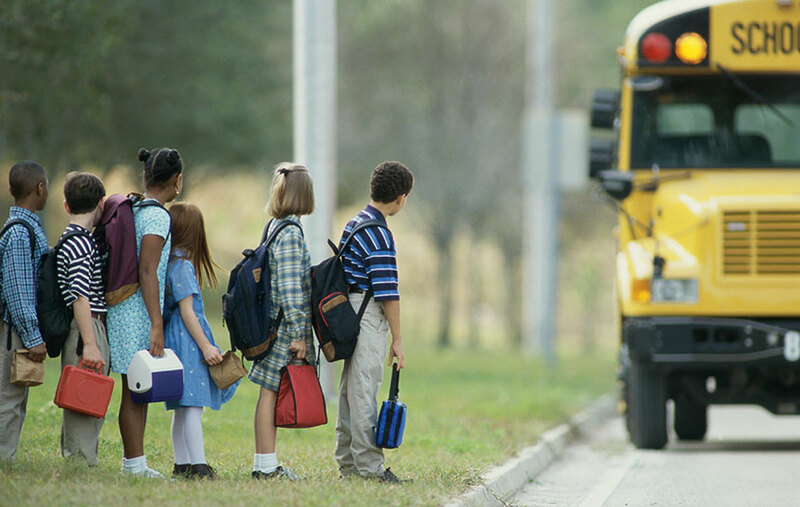 Children, even if they are in the same grade, vary in their readiness to handle traffic situations. In general, children are not ready to cross a street alone until age 10. Parents are responsible for selecting their student’s walking routes to and from bus stops and schools. Parents are encouraged to walk with students to and from school bus stops or school, especially younger students. 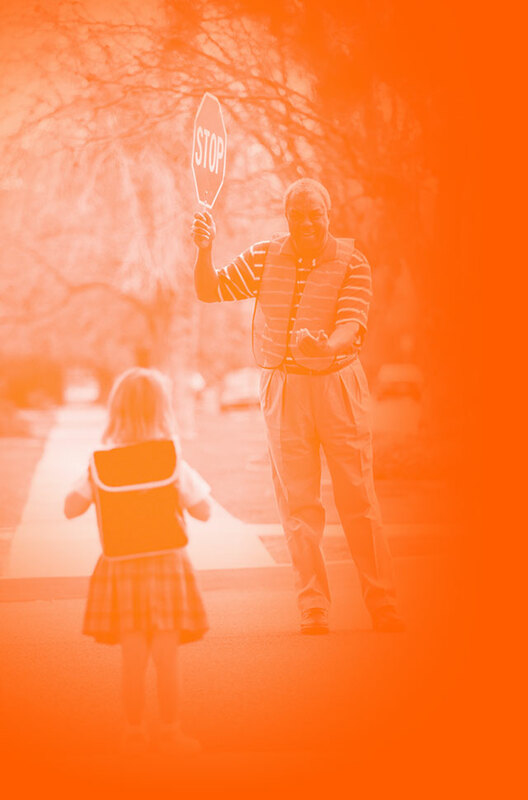 Doing so enables parents to teach safe walking practices, safe bus-waiting practices, and traffic awareness, and to model wellness by walking for exercise. This is also a good time to talk about "stranger danger." Remind children that they should not approach just anyone. If they need help, look for a uniformed police officer, a store clerk with a nametag, or a parent with children. Parents should also remind children of the importance of asking permission before going anywhere with anyone and that they should pay attention to what people do. Make sure they know to tell you right away if anyone asks them to keep a secret, makes them feel uncomfortable, or tries to get them to go with them. 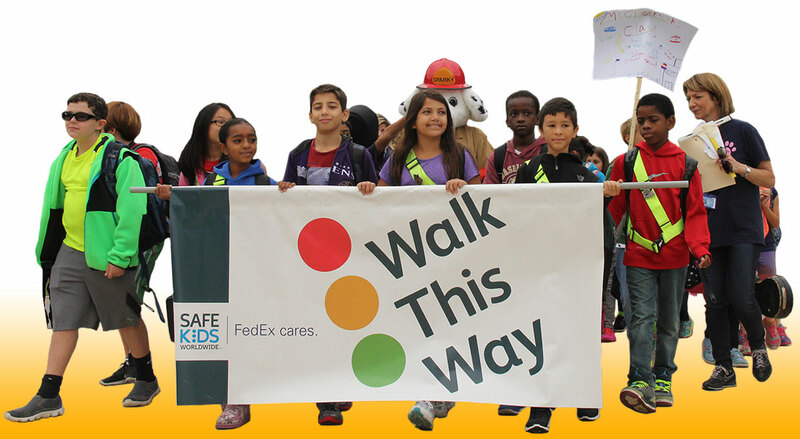 For additional information about when children are ready to walk alone, see the resource developed by the National Center for Safe Routes to School called Teaching Children to Walk Safely as They Grow and Develop. If your bus stop has been relocated or you have a concern with your current bus stop location, please contact your Transportation Cluster Manager. If you would like to request that sidewalks be installed in your neighborhood, you can submit a request online. This link will take you to the Division of Transportation Engineering. On this page you will be able to see an interactive map of pending sidewalk requests, see completed sidewalk requests, and submit a sidewalk application form. If there is a crosswalk that needs to be restriped or if there is no crosswalk where you think there should be, please contact Montgomery County Department of Transportation at 311 or via email. You may also use these contacts if you have any questions/requests for school signage or school flashers. View more pedestrian and bicycle videos, websites, and educational guides.